I’ve written at length about my love for Lyon, but my first French love was actually for Rennes. Ten years ago, I packed my comically large suitcase for a semester abroad in a small French city in the northwest region of Brittany. At twenty, I had no real clue what I was getting myself into or how the experience would change me. Rennes (or Roazhon, if you speak Breton) felt like a small town to me, & I spent the next six months exploring every inch of it.The city is considered to be one of the most festive in France & I made every effort to take in as much of that as I could. It certainly lived up to its reputation – I can barely keep track of how many festivals & events took place during my stay. Wandering the old streets of the beautiful historic center was by far one of my favourite pastimes during my stay. A picnic in one of the beautiful parks also isn’t a bad way to spend an afternoon, & thanks to the large student population, Rennes also boasts a vibrant nightlife. There’s even a street made up only of bars. Nicknamed “rue de la soif” (Street of Thirst), rue Saint-Michel is the place to be on a Thursday night during the school year. Portes Mordelaises: the last remaining gate to Rennes from the middle ages. If that wasn’t enough to make me fall in love, the local food certainly did. Brittany has many wonderful specialties including seafood, salted butter caramels, numerous pastries, cidre (hard apple cider), & half salted butter (for some reason, it’s unreal). You can find most of these at the weekly Saturday market, le marché des Lices. 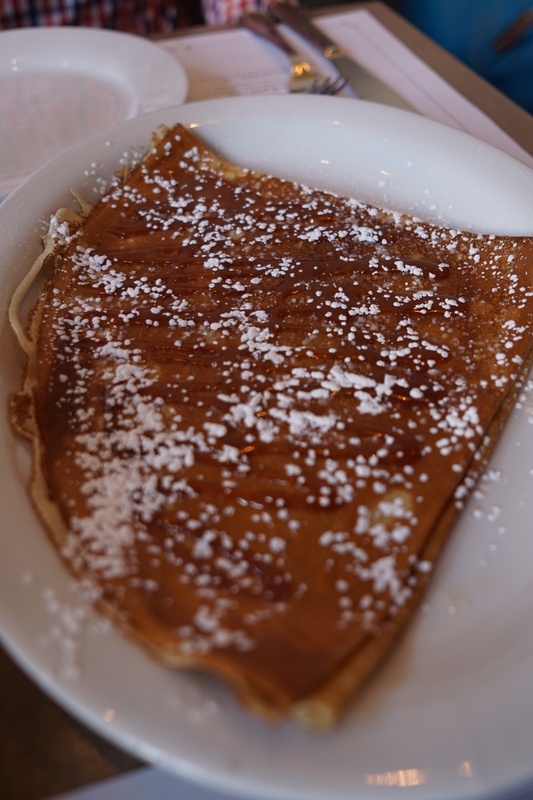 For my favourite traditional Breton delicacy though, you’ll want to head over to Crêperie St Anne & order a galette. 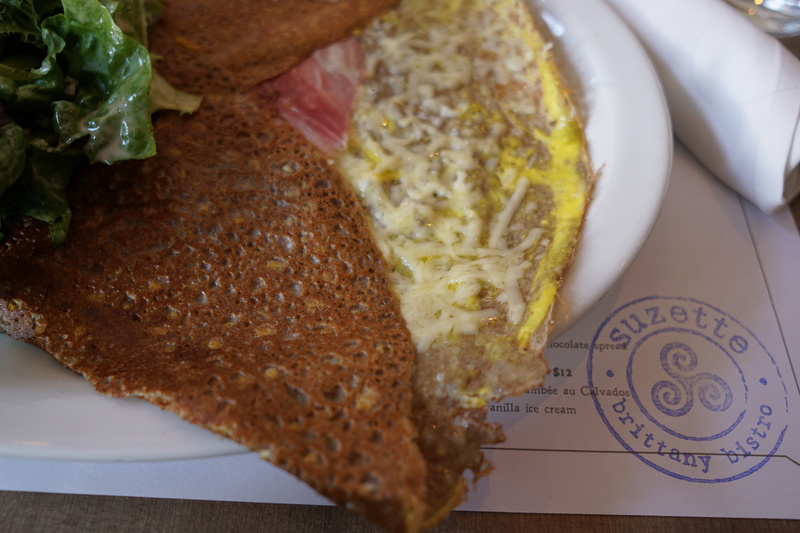 Breton galettes are the crêpe’s savoury soulmate, made from buckwheat flour & filled with anything from smoked meats to vegetables & cheese. Galette Complète – jambon, œuf, frommage. 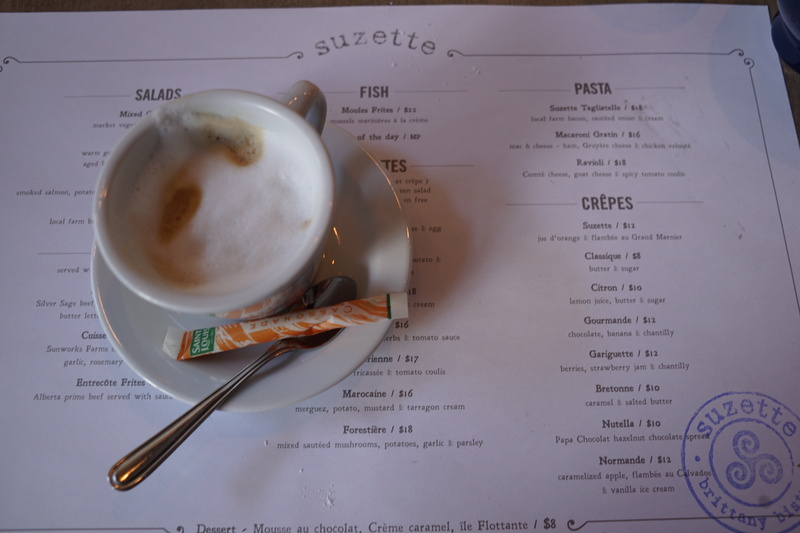 I thought I’d have to go back to Rennes for my galette cravings until Suzette Bistro opened this year. I could barely contain my excitement as I walked over to meet N for dinner last Friday. Reminiscing about my time in Brittany, I had high hopes for our meal. 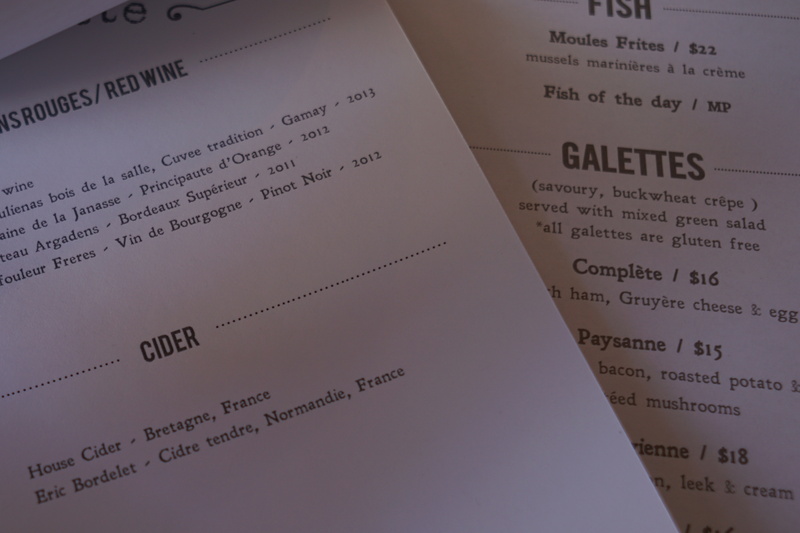 A quick look through their drink menu & I decided on the cidre brut (dry cider) – a favourite from both times I lived in France & an easy choice for me. 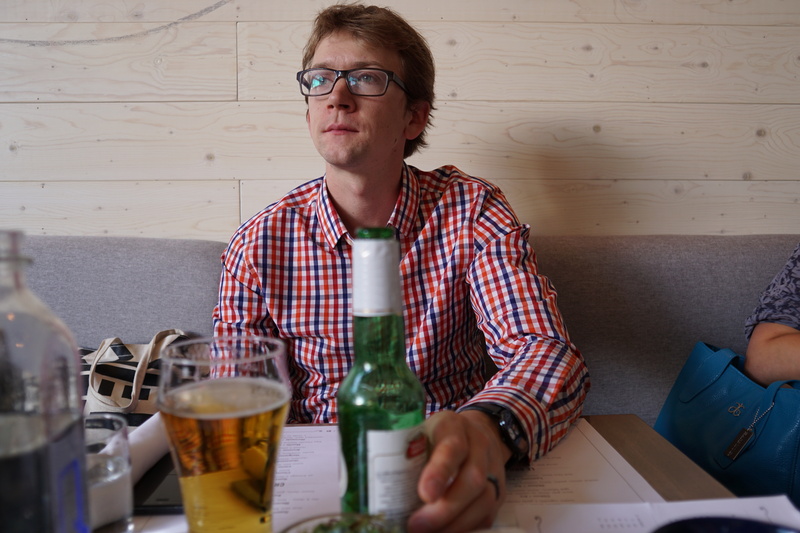 Their selection also included a decent assortment of beer & wines. I love that the cidre was served in a traditional ceramic mug like you would get in Brittany. Things were certainly off to a good start! For my main course, I chose the Complète, with French ham, Gruyère cheese, & egg (always my favourite variety in France!). N went with the Norvégienne, which should come as no surprise to anyone who’s eaten with him as it features smoked salmon. 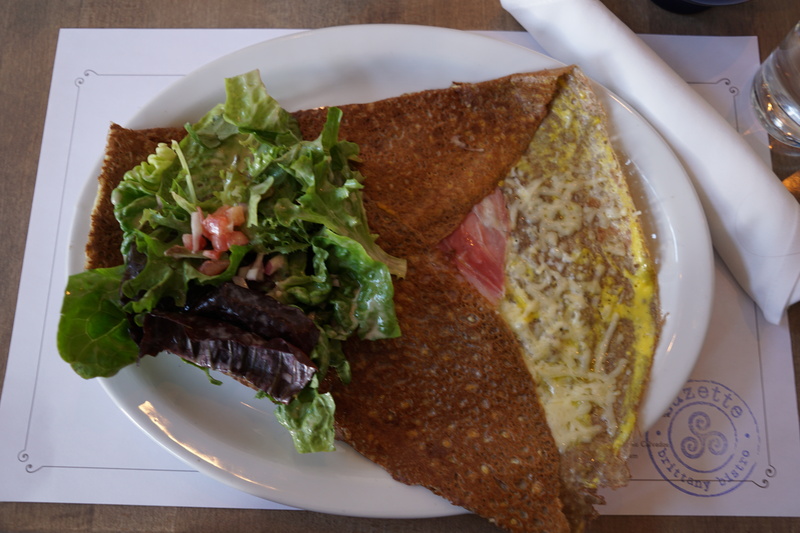 All galettes come with a a mixed green salad. Ours orders arrived quickly & that was the first thing I dug into. It doesn’t look like much, but this is exactly the same salad I’ve eaten in countless restaurants across France, & it is fantastic. The magic is in the perfect dressing. If that didn’t take me back to Bretagne, then my first bite of galette certainly did. It was perfect combination of ham, cheese, & egg in every bite! & the actual galette tasted exactly as I remembered. I tried a couple bites of N’s, & it was delicious too. A generous serving of smoked salmon paired nicely with the creamy leeks. Despite barely having room for dessert, I convinced N to share a Bretonne crêpe with me. I couldn’t resist the idea of caramel beurre salé (can you blame me?!). I also ordered a cappuccino. It was the perfect way to cap off our meal. A perfect crêpe, bigger than my face. 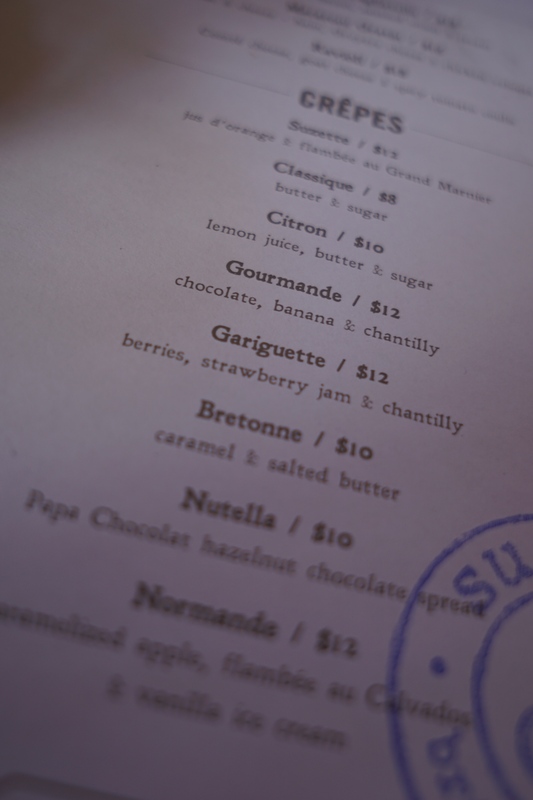 Suzette Bistro gets tops marks from me as authentically Breton & incredibly delicious. The prices are reasonable, the service was pleasant (you could even practice your French with some of the staff, if you wanted! ), & the food was fantastic. It seems we aren’t the only fans of this new Mission addition either – the place was surprisingly busy despite our early reservation. I highly recommend you check out Suzette Bistro – they do weekend brunch & weekday lunch & dinner (with the exception of Mondays). Thank you to Suzette for a wonderful meal & a fantastic trip down memory lane.